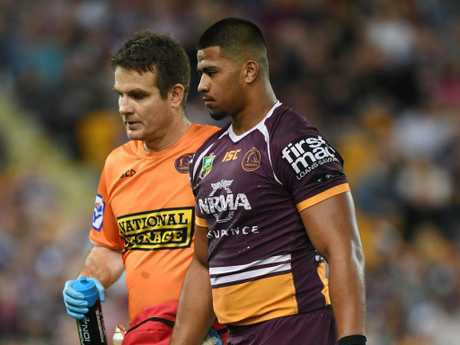 The 18-year-old forward, standing at 1.94m tall and weighing over 120kg, wowed the NRL after announcing himself on the game's biggest stage in April. Despite the shattering setback, the hardy star's explosive first impression has left him with a bulging pocket for years to come. 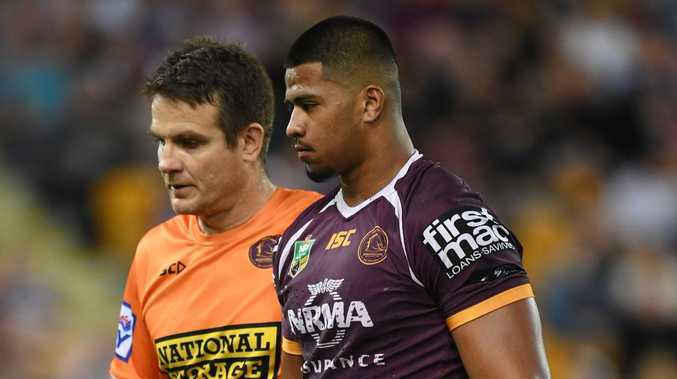 Long-time Brisbane coach Wayne Bennett revealed the Broncos clamoured to keep the imposing prop at Red Hill despite seeing the teen star on the field for three games in 2018. FOX Sports reported the 18-year-old's contract was worth $3.4 million dollars, making it the most expensive deal signed by a teenager in NRL history, surpassing Newcastle star Kalyn Ponga's agreement with the Knights. "We know the potential that is there so it is not a risk factor for us," Wayne Bennett told NRL.com. "It gives Payne security and us security for six years to know that every year he won't have some other club trying to knock him off the perch. "It is important that we keep these boys because they are our future. Without young players coming through it minimises your future, particularly if you want to be a top team. "I have always prided myself in my time at the Broncos with keeping the kids here. In our last premiership team there was 16 or 17 players who all came here as young men and never played for any other club, and we are nearly back towards that again now with predominantly homegrown young boys growing into men in the team." Payne Haas had a rough start to his career but can rest easy after Wednesday. Young stars Tevita Pangai Junior, Jaydn Su'A and Matt Lodge are still yet to be signed with suitors lining up the door. While Newcastle were set to be at least one club interested in Pangai Junior's services given he is a local junior, coach Nathan Brown is resigned to the fact he and the other forwards will remain at the Broncos. "He's obviously an outstanding player but I'm confident from what everyone's telling us - not Tevita himself - that he's staying in Brisbane for a bit longer," Brown told AAP. "It sounds like him, Lodgey, all them boys, Jaydn Su'a, they're all staying together for a bit longer. "Tevita's a player that I don't think he's lacking any interest if he was on the market. He's a Newcastle junior and we certainly do like our local juniors here. "But as we stand here today, from what I understand, Tevita will spend at least another year at Brisbane." Brown's admission comes after Lodge confirmed on Tuesday he expected to stay at the club while Pangai Junior told reporters to wait until November for news. Bennett has been confident this week he would keep the players. "It'll happen," he said. "They're quality players, everyone's interested in them, it's no more difficult than any other year." Other in-demand young talent includes the likes of Rhyse Martin at Canterbury, who the Bulldogs are desperate to hang onto amid their salary cap issues, and Gold Coast's Keegan Hipgrave. 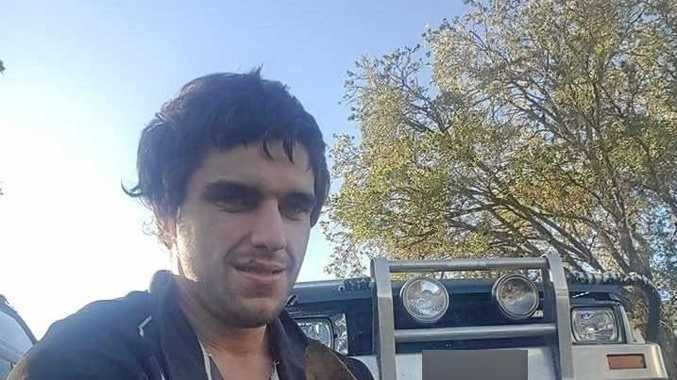 Robert Jennings, the NRL's leading try scorer, is yet to be locked in at South Sydney while young Newcastle halfback Brock Lamb could is also on the market. At the other end of the scale, Issac Luke, Brett Morris, Jarryd Hayne and Jason Nightingale headline the best current and former representative talent yet to be secured. Cameron Smith, Billy Slater Paul Gallen, Benji Marshall, Robbie Farah and John Sutton are yet to determine if they'll retire or play on, however, none will leave their current clubs.